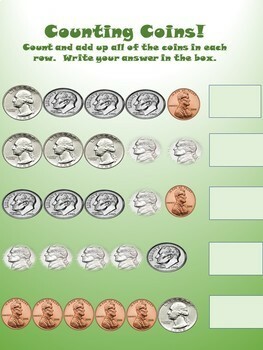 This packet provides a fun and engaging way for students to learn to identify and to count US coins- pennies, nickels, dimes and quarters. 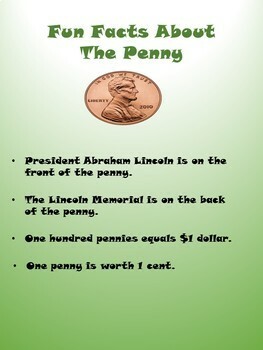 The max to be counted is $1.50. 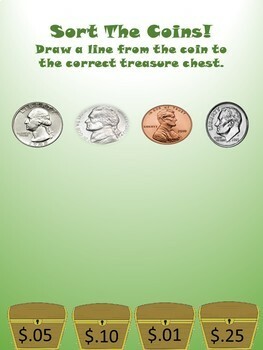 Students will learn some fun facts about each coin to help them remember place values and help identify each coin. 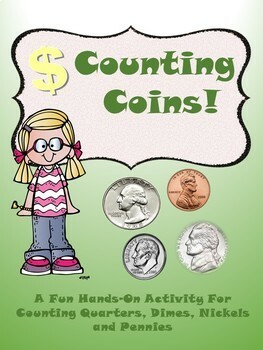 Your student will be sure to enjoy counting coins without getting frustrated which will allow them to learn and retain this $$$ valuable information!